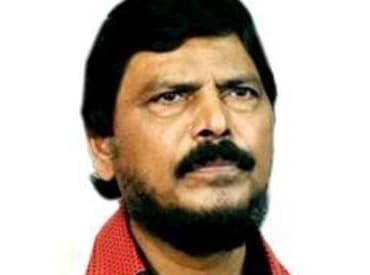 Union Social Justice Minister Ramdas Athawale on Thursday said there was no going back on the amendments made to the SC/ST Act passed by Parliament against which some organisations had called for a Bharat Bandh. Speaking in Nagpur, Maharashtra, he said that his party-- the Republican Party of India (Athawale)-- was opposed to the government's advisory against the use of the word Dalit. Those who are demanding a change in the Scheduled Castes and Scheduled Tribes (Prevention of Atrocities) Act should change their own behaviour towards Dalits and treat them well, he said. "There is no question of invoking the Act against anyone if he has not committed any atrocity against a member of SC or ST communities. We will ensure that the Act is not misused," Athawale, a prominent Dalit leader said. An officer of the rank of Deputy Superintendent of Police first examines a complaint before initiating action under the Act, he pointed out. "We are ready to talk with them (the protesters) if they are feeling that injustice is being done to them and find a way out. But there will be no changes to the SC/ST Act passed by Parliament," the Union minister said. Some organisations had called a one-day bandh on Thursday to protest against the amendments brought last month to the Scheduled Castes and Scheduled Tribes (Prevention of Atrocities) Act. The amended bill passed by Parliament had nullified the "safeguards" ordered by the Supreme Court against arrests without a preliminary inquiry under the SC/ST law. Asked about a government advisory to the media asking them to refrain from using the word Dalit, Athawale said, "The RPI does not agree with this advisory and will approach the Supreme court and put forth its view on the issue." "The term Dalit is not insulting, rather it is a very energising word. Besides, we agree that the Dalit word should not be used in government work. But it should be allowed in the media," he said.